Don’t be fooled by the umbrella, the cover art doesn’t have much to do with the actual story. 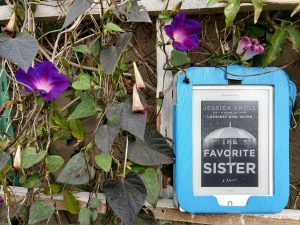 The Favorite Sister by Jessica Knoll takes a cheesy reality show that you’re barely interested in and fills it with secrets that twist and distort what you think you know and suddenly, you find yourself drawn into the drama. The reality show is Goal Diggers, a production focused on young entrepreneurial women that are now millionaires without the help of a man. There is the stunningly beautiful author, Stephanie, the vegan hippie juice bar CEO, Jen, dating app founder, Lauren Bunn (aka Lauren Fun! ), and the lesbian founder of a spin studio with a charitable mission, Brett. Now 2018 has come and gone. I ended the year one book short of my Goodreads goal, reading just 24 books in 2018 instead of 25. I blame that on picking up East of Eden with only two weeks left in the year. John Steinbeck’s epic novel spans over 500 pages in paperback and it would take some time to get through it. Toss in the holidays and there just wasn’t enough time to finish it. Of all the books I read last year, there were two amazing books that absolutely stood out and I highly recommend reading. I was surprised to see this in the bargain bin so soon after the theatrical release, but now I understand. 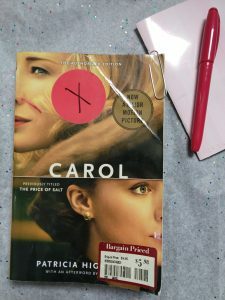 In a span of 36 pages, the story makes a sudden change from a mundane road trip to “We’re lesbians” to “OMG, someone is following us, let’s kill him.” Carol by Patricia Highsmith is a slow-paced novel that has a surprising, but deeply satisfying ending. Though only hinted at, it’s clear from the prologue that something terrible has happened to Gemma. It’s 15 years later and despite the past, Gemma appears to be living her best life: owner of her own real estate business, and married with a child. However, that drastically changes after a chance encounter with a new client. The Girl I Used To Be by Mary Torjussen explores the lasting effects of violation, harassment, and victim shaming in a novel that I feel is important to read and discuss with others. Two months have passed since the barbecue, but everyone is still trying to forget what happened and politely avoid each other: friends, neighbors, spouses. Something happened. How bad can it be? Did someone die? No, that can’t be it, but whatever it is, it’s serious. Set in a Sydney suburb, this story reads like it could be any neighborhood in America. 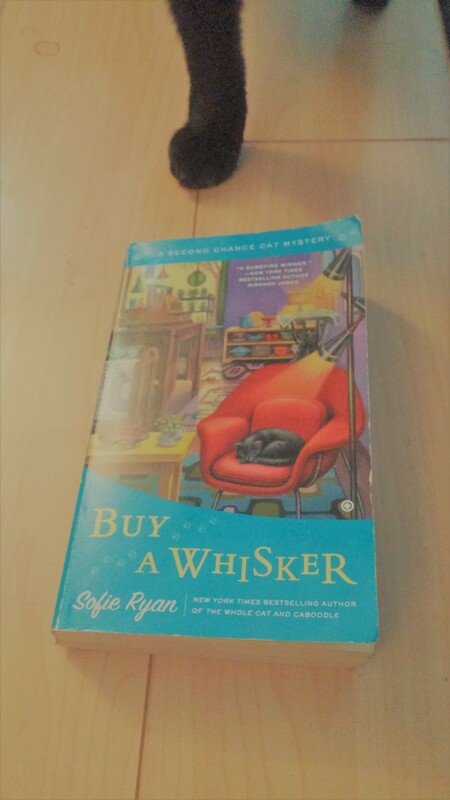 After the success of their first murder investigation, Charlotte’s Angels are back in Buy A Whisker, book two in the Second Chance Cat Mystery series by Sofie Ryan. The senior ladies: Charlotte, Liz, and Rose, (and their friend Alfred, an old timer hacker) are ready to expose the truth with their investigation services operation –headquartered in the Second Chance shop, of course. The Second Chance shop, owned and operated by North Harbour, Maine resident Sarah Grayson, features repurposed goods. The unique shop attracts many tour bus customers, but Sarah knows business could be better. With the prospect of a new development in the works, the tourist town is overjoyed by the possibilities of bringing in new customers and updating it’s image. Everything is in place for the development to go through except for one business owner’s approval. Local bakery owner Lily Carter refuses to sell her property, inherited from her grandfather. She declined the developer’s offer, which has resulted in outrage from the town in the form of petty pranks, threats, and pleas for her to change her mind and accept the deal. When Lily is found dead on the basement stairs of her bakery, it isn’t surprising that the police think there has been a homicide. The suspect list is long: it could have been any shop owner depending on the development or money they would receive from selling their property. Is it possible it was the developer himself? Or maybe a newcomer? When one of the Angels, Liz, is moved to the top of the suspect list, the Angels set out to find the real killer. Sarah is depending on Elvis, her feline with lie-detecting abilities, to help her solve the mystery before her friends put themselves in danger. Overall, this installment was much better than the first in the series. I am in love with Elvis and have finally warmed up to Sarah and her Second Chance crew. Elvis’s personality reminds me so much of my own all-black feline, Dora. While Sarah finds herself arguing with Elvis over her seat, I find myself having the same arguments with Dora. Finally, I give in and share the seat with him. There is not much of Sarah’s grandmother, Isabel, in the story, even though all the ladies that work with her are her Grandmother’s friends and Isabel supposedly lives the on the upper floor of her house. Maybe that’s the gag? We do learn more about the other ladies: Charlotte, Liz, and Rose, who reminds me of Betty White. I’m still not sure about some of the minor characters. There are brief moments where the dialogue goes from cozy to cheesy and I have to put the book down, close my eyes and let out a deep breath, particularly around Sarah’s friendship with her teenage crush, Nick. I’ve never accidentally fallen into the arms of a male friend and if I did, I probably wouldn’t stare into his eyes. As for her work companion Mac, I would prefer to read a little less about his muscles and more about his mysterious past. 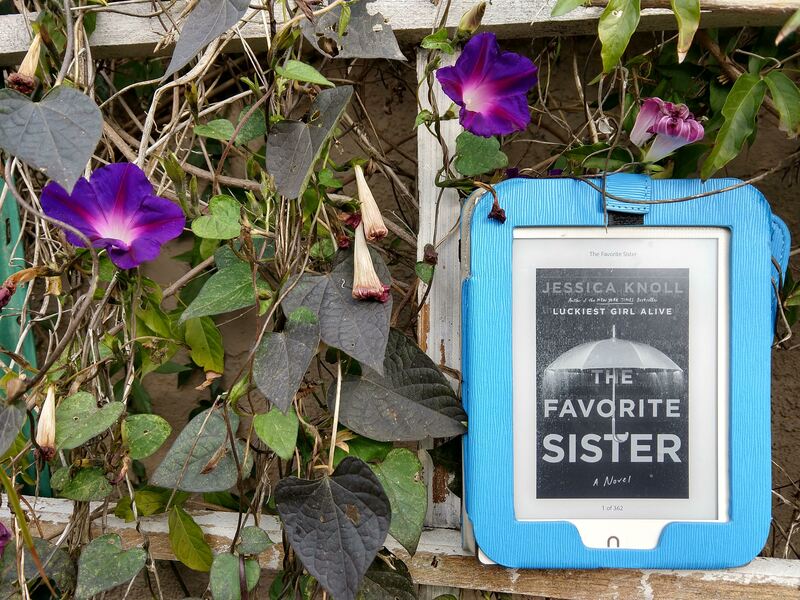 I bought this copy at my local library’s book sale, but am delighted to see the rest of the series is available on my library’s OverDrive app. Hannah is in over her head when a murder takes place in broad daylight right behind her bakeshop and the victim is covered in her cookies. Be prepared for a zesty debut to this series because Chocolate Chip Cookie Murder by Joanne Fluke has more bite than other cozy mysteries. Even though you know that it’s her destiny to make the trip to California, your heart aches knowing that she has to make this journey. It yells out to her, “No! Don’t do it, Eliza. Think of your future!” but you know she must go and there is nothing you can do to stop her. So you prepare yourself for a tear jerker — the story of a Chilean girl who follows her lover to California during the peak of the Gold Rush.